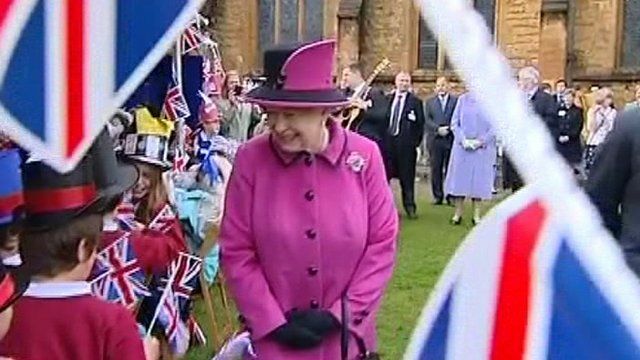 The Queen and Duke of Edinburgh have visited Sherborne as part of the nationwide Diamond Jubilee tour. Hundreds of people turned out in the grounds of Sherborne Abbey as the royal couple met local schoolchildren taking part in a Mad Hatter's Tea Party. The Queen toured a food fair while the Duke went inside Sherborne Abbey and viewed an exhibition of local artisans.